Today we are excited to announce that the Power BI service now supports reports and dashboards with R visuals. 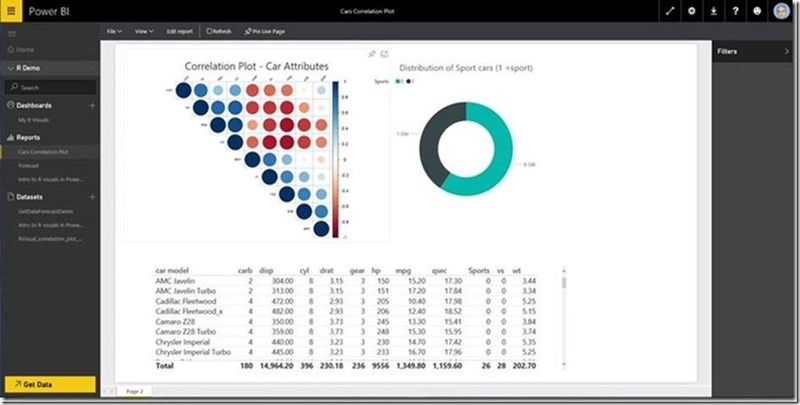 This update expands Power BI service visuals with endless flexibility, and adds advanced analytics depth. 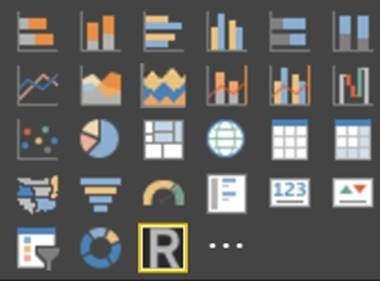 These new rich R visuals are fully integrated into Power BI service reports, and can be filtered, cross filtered, and pinned to dashboards. The R visuals can be viewed by Power BI users without them having to be aware of this underlying technology. 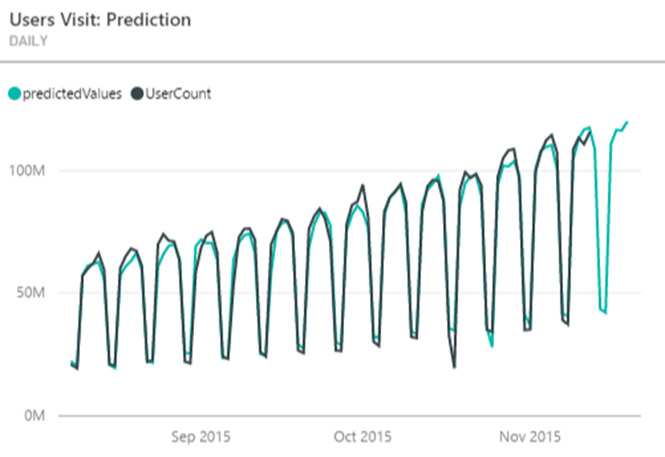 With millions of users and thousands of ready-to-use packages, the R language adds great extensibility to Power BI, with endless complementary capabilities for analyzing and visualizing data. We've created an example of a Power BI Desktop file (pbix file) with R scripts. To try it yourself, download the file and open it in Power BI Desktop, publish your report to the Power BI service, and experience R visuals in action. How are R visuals created? Authoring of R visuals is done in Power BI Desktop, and then published to the Power BI service. First, the report author has to create a new R visual, by selecting the R icon in the visualizations pane. After inserting the R visual type on the report canvas, the author can then drag data into the values fields, and finally paste the R script into the R script editor pane. Once the authoring is done, the new report containing R visuals has to be published to the Power BI service. R visuals behave in the service like any other visual in Power BI: users can interact, filter, slice, and pin them to a dashboard, or share them with others. Generating R visuals can be very easy! For example, the correlation plot shown above required only one line of R code: corrplot(M). Users who view R visuals in dashboards and reports do not need an understanding of R to gain insights. For more information on R visuals in the service, see Use R scripts in Power BI to create advanced analytics and visualizations. R visuals in Power BI service are enabled only for domain verified Pro users. 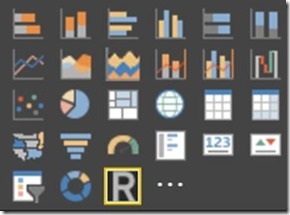 See more information about R visuals licensing in Power BI. Power BI service supports hundreds of the mostly used R packages. For requests to support further R packages in the service, please contact us. R visuals are not supported in Power BI embedded. Your feedback is critical, and we invite you to send us feedback on this new update to rinpbifb@microsoft.com. We hope you enjoy this addition to the Power BI service, and keep enjoying the PoweR in BI!